To Catch a Spirit has been out for a month now, and I’d first like to thank everyone who has supported me on my writing journey. Your purchases, reviews, and kind words have been incredibly encouraging, and I couldn’t do this without your support! As many of my readers know, Logan, the hero of To Catch a Spirit, battles mental illness–in addition to the ghost that’s haunting him–throughout the story. I’ve put together a list of some common questions I’ve received about the story, and I thought I’d share the answers here to shed some light on why I wrote the story the way I did. Why did you decide to create a romance novel hero with a mental illness? When I wrote To Catch a Spirit, I was suffering through my own bout of anxiety, depression, and OCD. Channeling my frustration with my condition into Logan was a therapeutic process for me. Most of the heroes in romance novels are almost unbelievably perfect. I thought if I could create this swoon-worthy hero, who was fighting the same fight as me, and help him live a fulfilling life…then that was a ray of hope I could hold onto. According to the National Institute of Mental Health, OCD affects one out of every 100 people. It’s a common illness, and one that’s often misunderstood. A lot of people associate the disorder with cleanliness and organization, because that’s only what they see on the outside. I hope that by reading this book, people can get a better understanding of what happens to the person on the inside—the obsessive, disturbing thoughts that trigger the compulsive behaviors. How does Logan overcome his disorder? He never completely overcomes it. Even though the book is paranormal, just like in real life, there’s no magic spell to make it stop overnight. When he meets the heroine, Allison, she is studying to be a therapist. She’s also a Reiki practitioner, and she teaches him to meditate to calm his mind. While Logan is definitely not “cured” by the end of the story, he does have hope that he’ll be able to lead a normal life. What else does the reader get to experience in the story besides Logan’s battle with OCD? Empaths, psychics, ghosts…How does an author research for a book like this? I’ve done a little ghost hunting myself, so I have some experience in that aspect of the story. To learn about psychic mediums, empaths, and Reiki healing, I met a local psychic and enrolled in her psychic development classes. It was a fascinating, enlightening experience! I hope this post gives you a little insight into my motivations for writing the story. If you have any other questions, please post them in the comments! 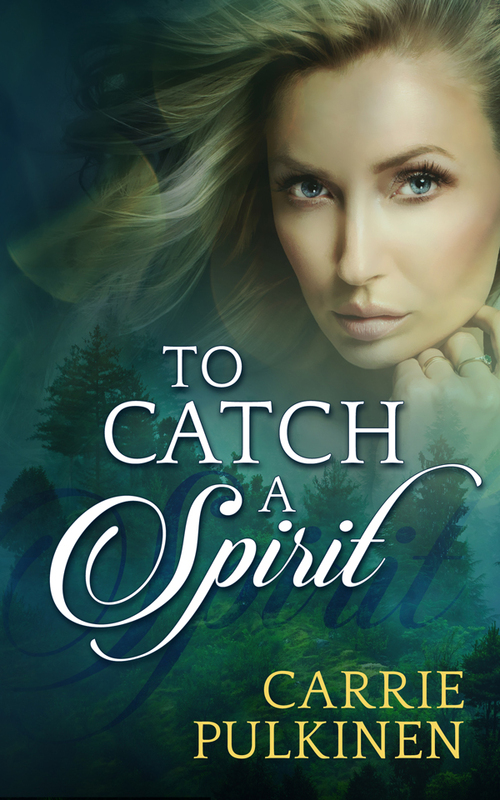 And if you’d like to get your own copy of To Catch a Spirit, it’s available on Amazon!